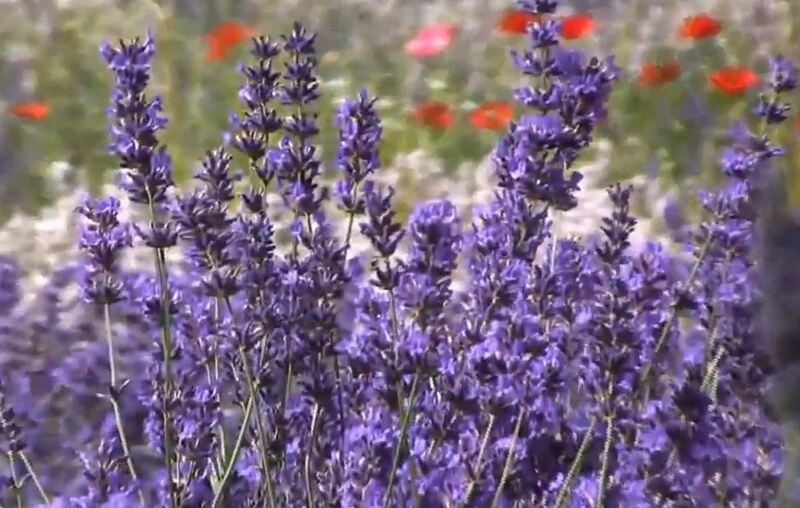 Traditional medicine has long used aromatic plant-derived compounds such as lavender extract as treatments for anxiety, but how these compounds might work at the neuronal level isn’t fully understood. A team of scientists in Japan has now demonstrated that the smell of the aromatic lavender-derived alcohol, linalool, exerts anxiolytic effects in mice by acting on the same gamma-aminobutyric acid A receptors (GABAARs) that respond to the anxiolytic drug benzodiazepam. However, while diazepam in the bloodstream acts directly on GABAA receptors, the Kagoshima University team found that linalool vapor acted via the animals’ olfactory system—its relaxing effects weren’t evident in mice that couldn’t smell. Anxiety disorders are one of the most common types of mental health disorder, the authors write. First-line drug therapies include azapirons and serotonin selective reuptake inhibitors (SSRIs) that act on serotonergic synaptic transmission, along with benzodiazepines that act via GABAergic transmission. However, the team notes, the side effects of these drugs can be worse than the anxiety itself. The researchers now report on studies that involved carrying out classical tests for anxiety on male mice, immediately after the animals were exposed to linalool vapor. Results of the light/dark box test and elevated plus maze test suggested that linalool vapor exposure produced dose-related anxiolytic effects that in some cases were comparable to those produced by diazepam treatment. However, unlike benzodiazepam or linalool injections, exposure to linalool odor didn’t cause motor impairment, and the test results suggested that the effects of linalool odor were anxiolytic, rather than sedative. Significantly, linalool vapor only exerted its effects in mice that had a sense of smell. Exposure to linalool vapor had anxiolytic effects in anosmic mice. These animals had been pretreated with a compound that destroyed their olfactory receptors. Similarly, animals that were pretreated with a compound flumazenil, which blocks the benzodiazepine site on GABAARs, also didn’t respond to the linalool vapor, “indicating that GABAergic transmission via benzodiazepine-responsive GABAARs was essential for the anxiolytic effects,” the authors state. “When combined, these results suggest that linalool does not act directly on GABAA receptors like benzodiazepines do—but must activate them via olfactory neurons in the nose in order to produce its relaxing effects,” Dr. Kashiwadani notes.